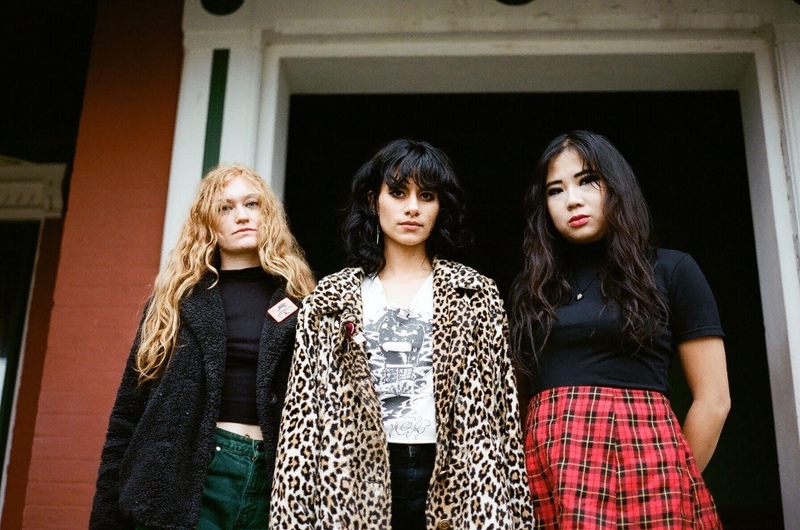 We’re excited to announce that our favourite psych quartet L.A. Witch, have just signed to Suicide Squeeze Records, & are sharing a new slice of their reverb-soaked punk sounds with new single ‘Brian‘. The band will be headlining a full UK tour in February. It’s easy to forget that just a few decades ago, the only viable means for penetrating the golden glamour of Los Angeles was via the dusty trail of Route 66. And just as the arteries of the interstate latched onto the thumping heart of California, so too came the amplified sounds of a new restless generation. There was acid on the streets and revolution in the air, but there were also Hell’s Angels in the alleys and Manson’s family on the desert periphery. It was an age of innocence, beauty, and opportunity, with an underbelly of lawlessness and depravity. And it had a soundtrack. It’s impossible to listen to L.A. Witch and not hear echoes of that time. The sound of dusty neon and the first dim-lit bars of Sunset ring out with every reverb-drenched note. The juxtaposition of Hollywood allure and Skid Row desperation throbs in every three-chord riff. And the perilous wager of temptation lies in every sultry vocal melody. Yes, L.A. is the land of sunshine, but it also harbors a certain kind of dangerous magic. And no one seems to understand that more clearly than the three women of L.A. Witch. Whether they’re conjuring the downtrodden cowpunk of The Gun Club, the seedy metropolitan balladry of Velvet Underground, or the beefed-up blues of Black Sabbath, L.A. Witch remind us of that exhilarating revelation that a city can elevate you just as quickly as it can grind you into the dirt. Given the beguiling nature of their music, it’s hardly surprising that L.A. Witch’s recent Brian 7” on Greenway Records is nearly out-of-print. While their vinyl offerings are all on their way to becoming collectors items, some solace can be found in knowing that a reworked version of ‘Brian’ will appear on their debut album later in 2017 courtesy of their new label home at Suicide Squeeze Records. In the meantime, European audiences should keep an eye out for L.A. Witch on their UK/EU tour in February and March.